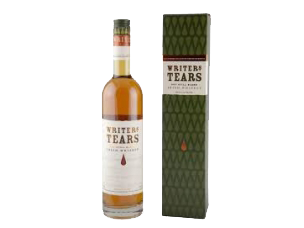 Writers Tears is a light, sweet Irish whiskey made using a mix of single pot still and single malt whiskies, resulting in oodles of honey'd, fruity notes. Wonderfully easy to drink, it would make for a great introduction to Irish whiskey for folks new to the spirit. No writers were harmed in the making of this whiskey.